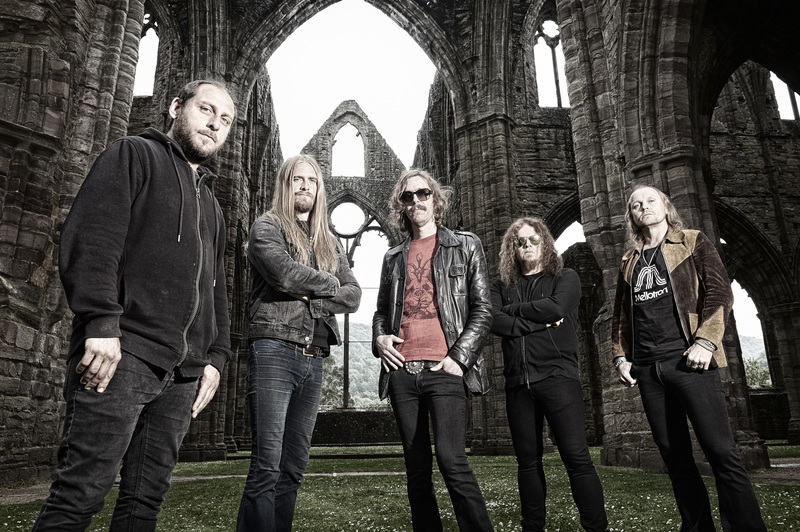 Los Angeles, CA—Sweden’s musical alchemists, OPETH, will be releasing their bewitching, 12th studio album, Sorceress, on 30 September via the band’s imprint label, Moderbolaget Records with Nuclear Blast Entertainment. In celebration of the release the band has planned special shows at historic venues around the world in support of the record, including Radio City Music Hall in New York on the 1st of October, SSE Wembley Arena in London on the 19th of November and the famed Sydney Opera House in Australia on the 6th of February 2017. These memorable performances also celebrate the recent release of OPETH’s Deliverance & Damnation box set, featuring the band’s classic 2002 and 2003 records as one complete work as originally intended, and their just released record, Lamentations – Live at Shepherd’s Bush Empire that’s available now on DVD and 180 gram 3xLP from Music For Nations. Purchase the live record here. 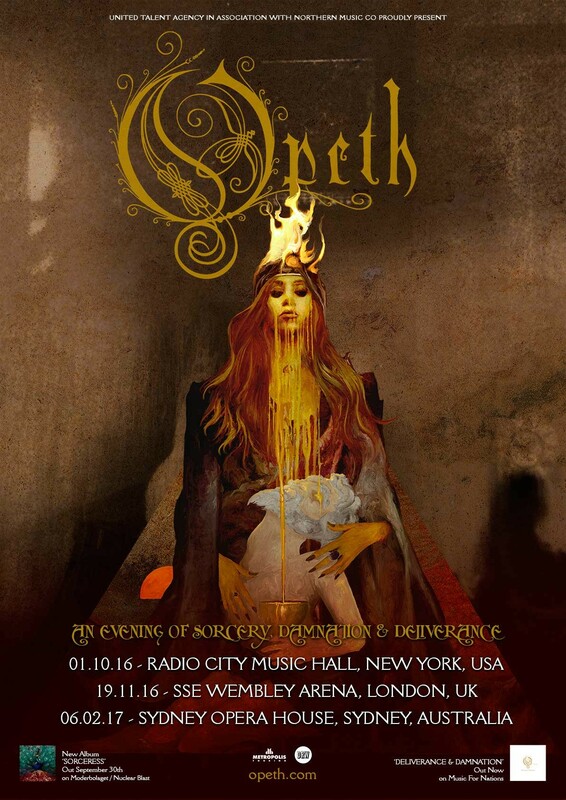 OPETH will be performing music from the upcoming album, Sorceress, as well as fan favourite cuts from their celebrated catalogue, and will be opening the shows with a special set featuring material from Deliverance & Damnation. Fans are invited to pre-order Sorceress now in a variety of formats and packages at the links below. Listen to Opeth’s new song ‘Sorceress’ here. Sydney Opera House Pre-sale Registration: Friday 19 August, 11.00pm AEST – Monday 22 August 11.59pm AEST, click here. Sydney Opera House Registration Pre-sale: Tuesday 23 August 2.00pm AEST. Sydney Opera House Database Pre-sale: Wednesday 24 August 7.00am AEST. Links can be found here and here.